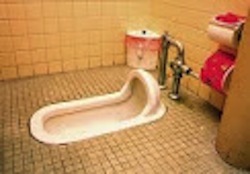 Japanese toilets; to squat or not to squat, that is the question. Using the toilet in a foreign country can be quite an adventure. Standards of hygiene can vary enormously from one country to another and what is considered to be etiquette in one country is quite the faux pas in another. What to do with toilet paper, for example. 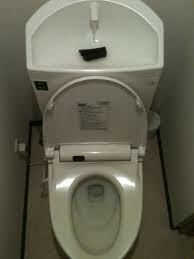 I am British and we wipe, drop in the bowl and flush. This is the same in Japan too, but Japan's neighbours, Taiwan and South Korea, wipe and discard in the bin provided. This has something to do with the standard of the toilet paper. Taiwanese and South Korean toilet paper is too robust to dissolve in the toilet. Flushing away results in blocked toilets, so, in the bin it goes. Takachiho, where I live, is a tourist town. Many visitors from all over Japan, Asia and beyond, visit the gorges, waterfalls and shrines in our neighbourhood. As well as visiting all the sights, these tourists also visit the public conveniences. One of the ladies of our temple congregation works as a toilet cleaner. She says the corner bins normally used for disposing of ladies sanitary products are overflowing with soiled toilet paper most days. In the Gents' it's worse, having no sanitary napkin disposal box, the pile of pooed and peed-on paper spreads all over. It's a cultural difference which could lead to friction between locals and tourists. I have seen notices in several languages telling people to flush toilet paper in the public toilets at expressway service stations, but still not seen them in the toilets in town here. Bento making is considered to be an art form; an important skill that Japanese mothers aspire to. 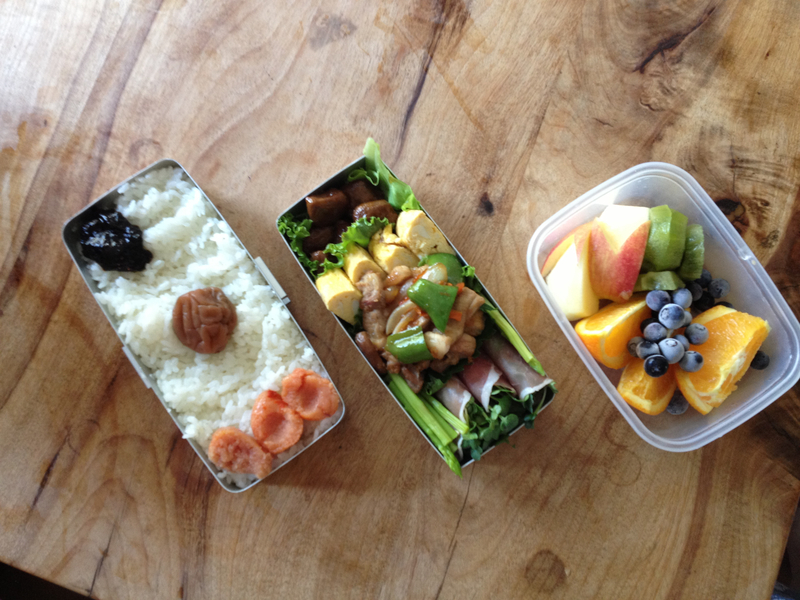 A good mother pours her love and creativity into the daily bentos she makes for her family members. I HATE making bentos. I hate eating them too, home-made or bought, I hate them. But I have to make them every day for my 3rd grade senior high school son. You might say, get him to make his own, and yes, I made my own packed lunch from an early age, but his schedule is just so punishing that it's impossible. (I will save the gory details of his life for another post). Obon, the Festival of the Dead, along with New Year, is one of busiest time of the year for the temple. Obon is like Halloween in some ways. For a short period the spirits of the dead ancestors come back and enjoy time in the real world. But for Obon, we are welcoming the spirits into our houses with our paper lanterns, not trying to keep scary ones out with our Halloween Jack-o-lanterns. There is a relaxed, friendly atmosphere. The weather is hot and humid and the welcome you get is warm to match. I returned to Japan in April and the hectic beginning of the new school year left me with barely enough time to catch my breath. I apologise for not sharing my musings here for such a long time. I have suddenly had to return home to the UK, so I find myself sitting here in Peterborough, typing the long-awaited second part of my funeral piece.